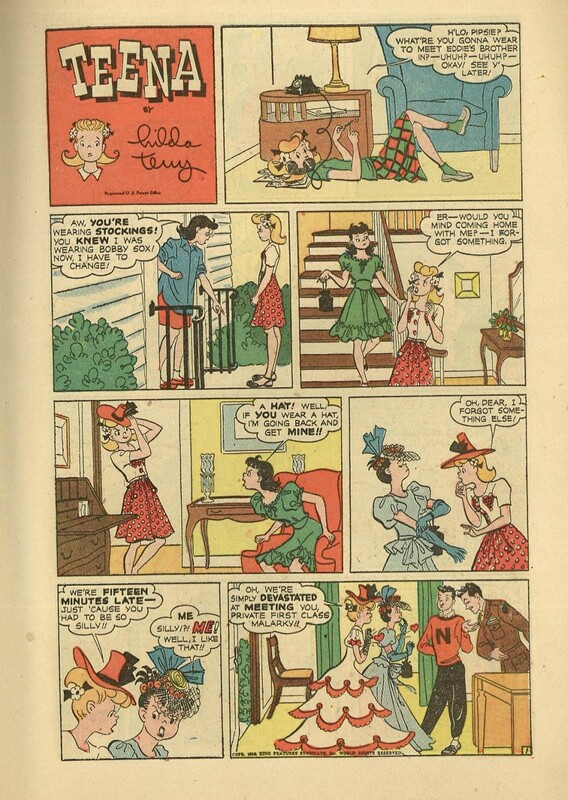 Check out the Hilda Terry category here at RCN for more comic strips and book covers by a first-rate cartoonist whose work is absolutely crying out to be reprinted! 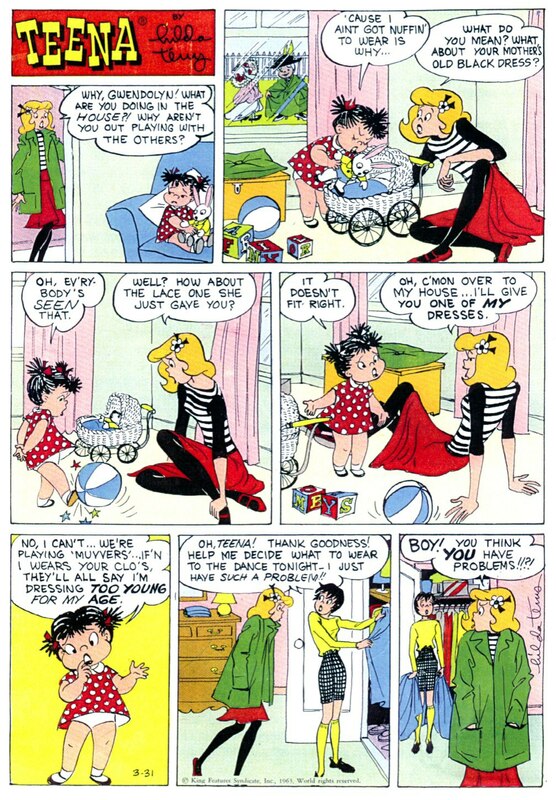 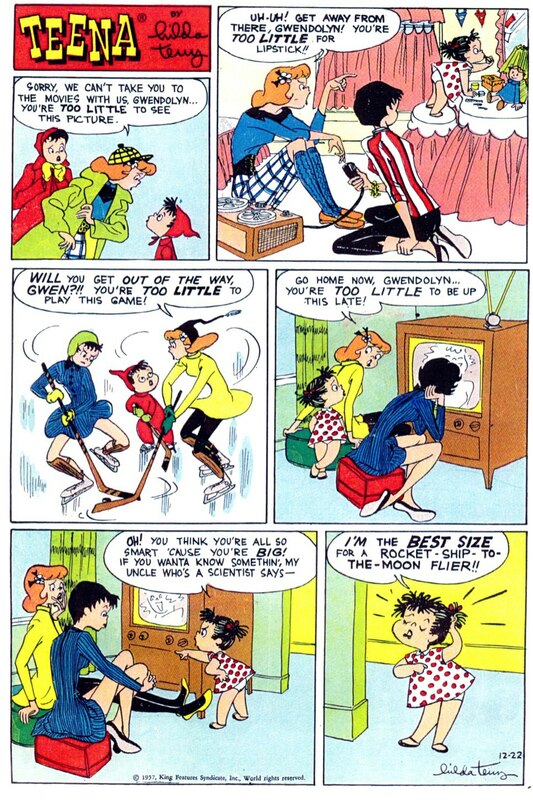 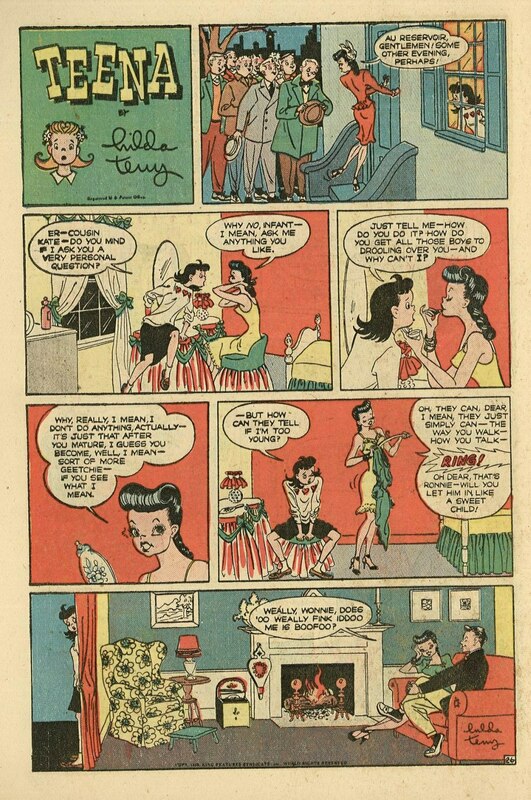 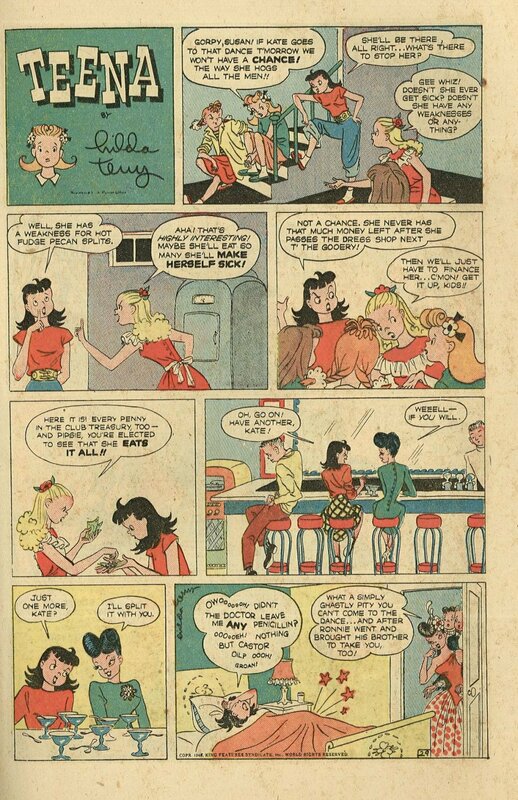 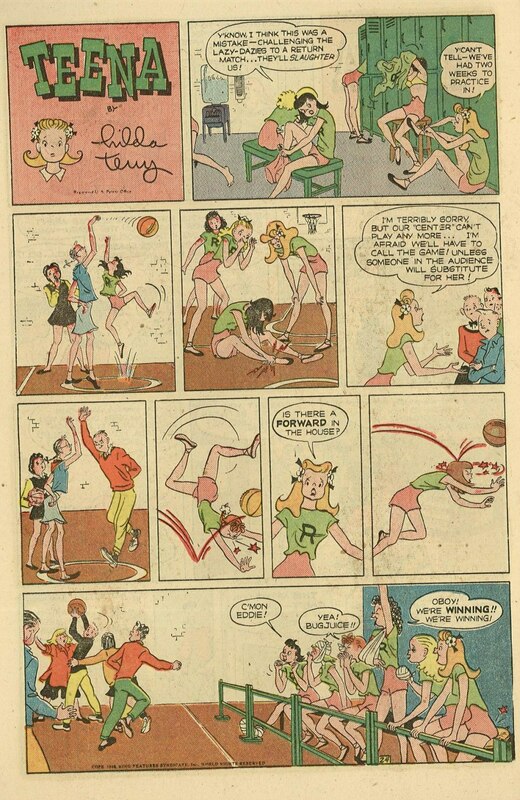 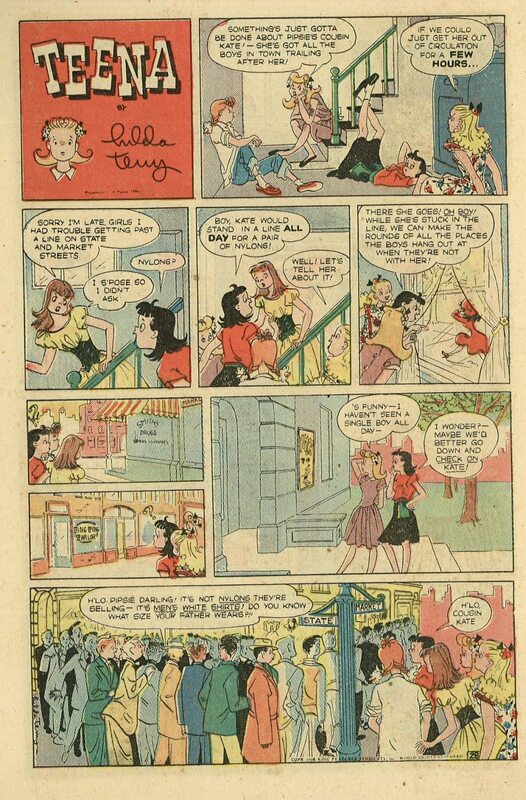 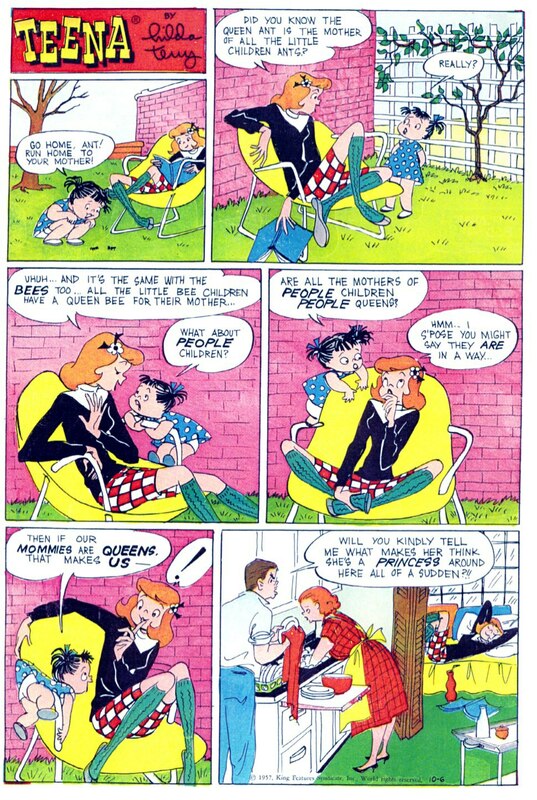 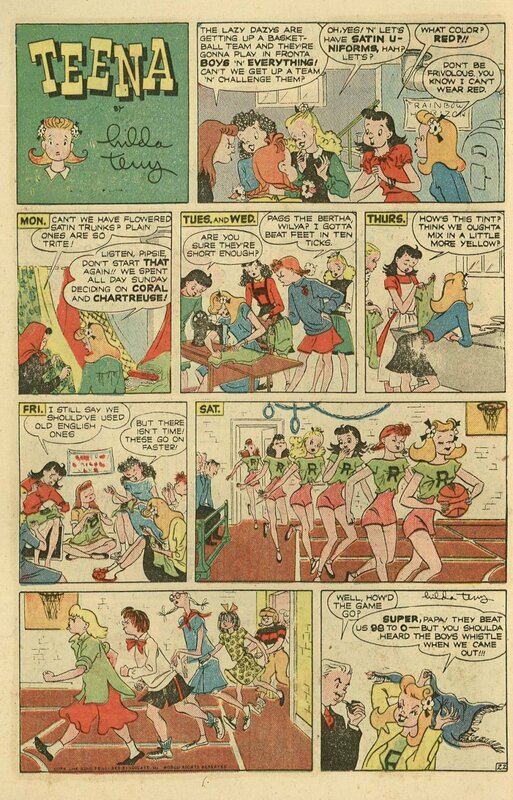 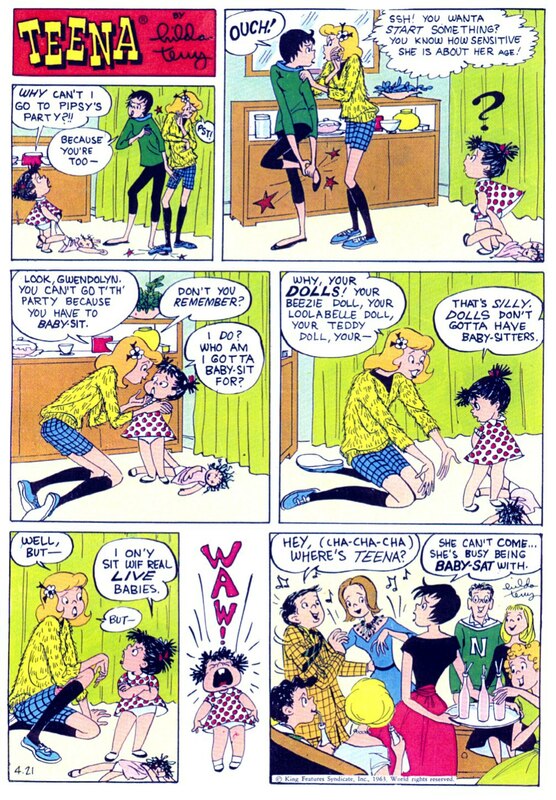 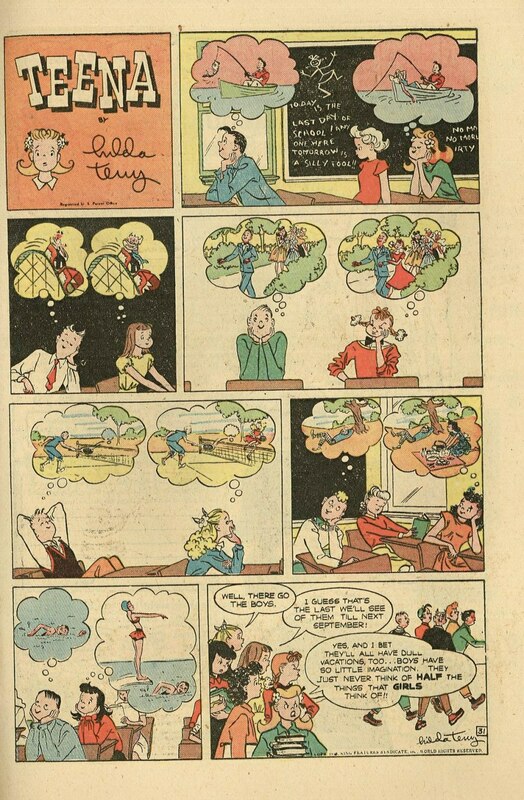 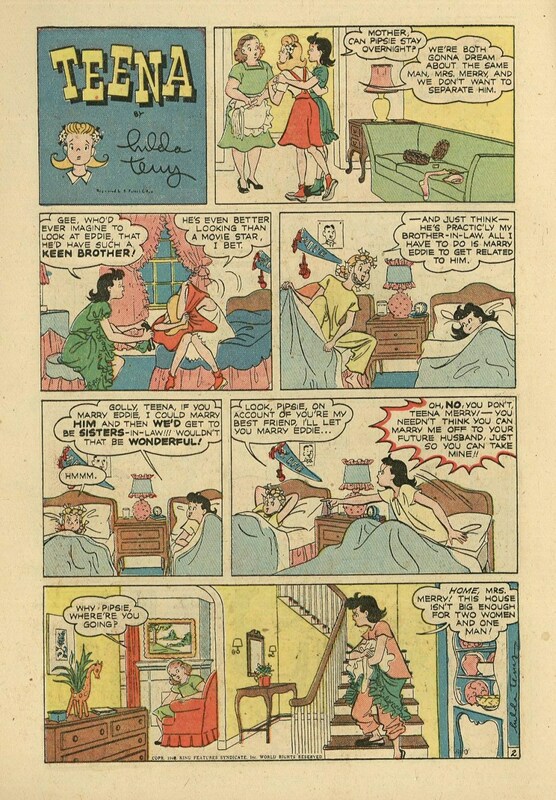 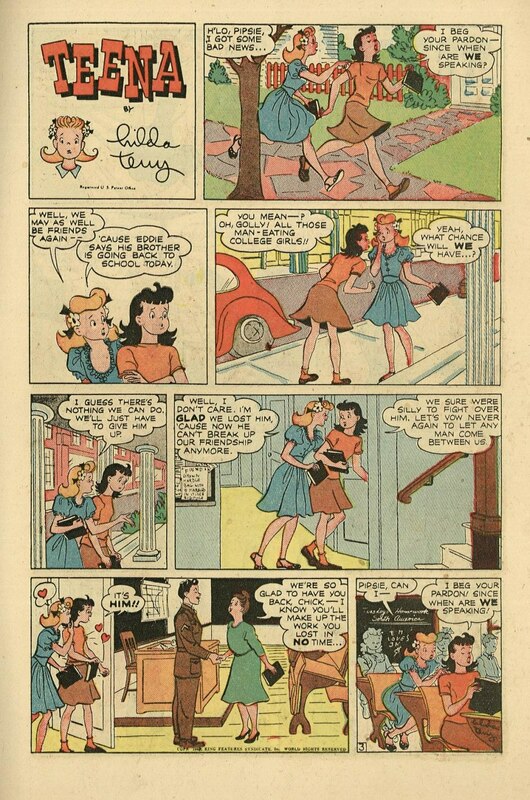 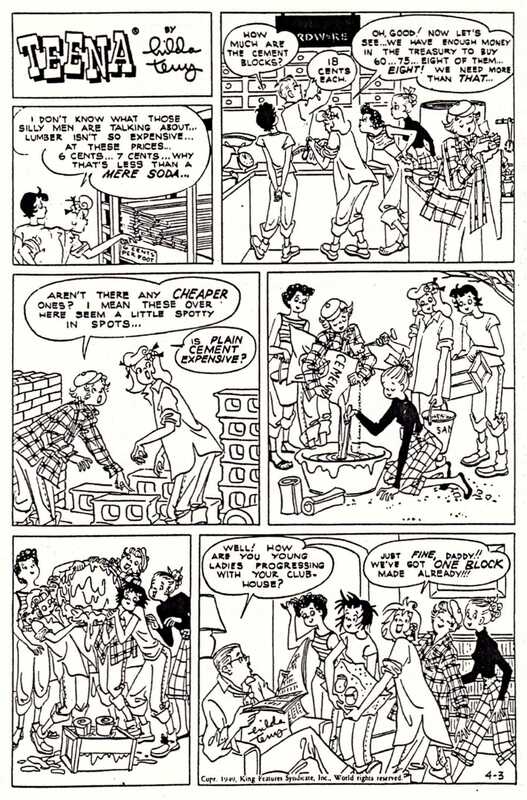 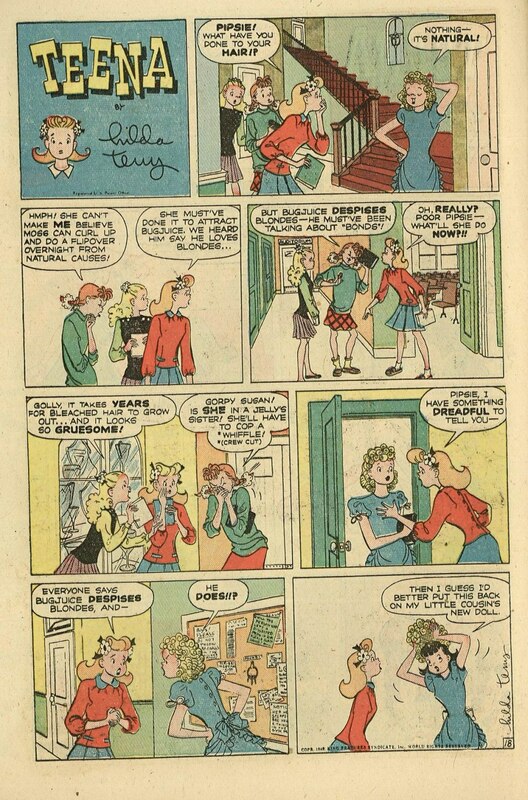 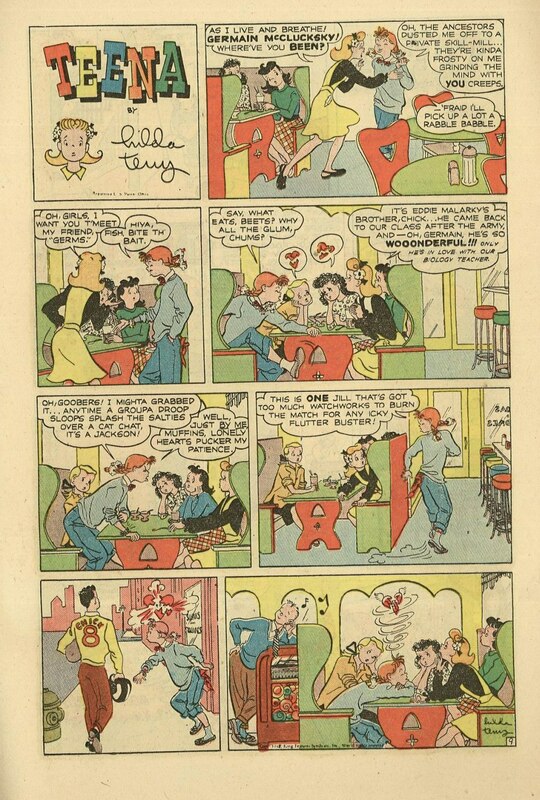 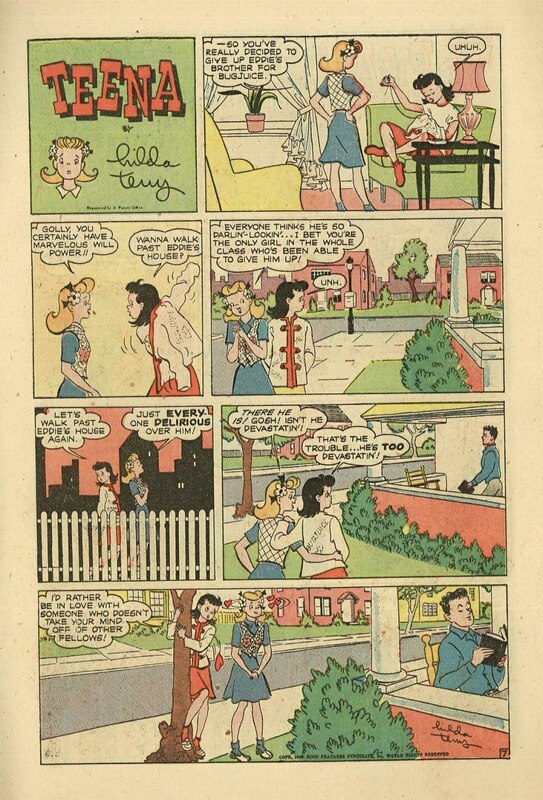 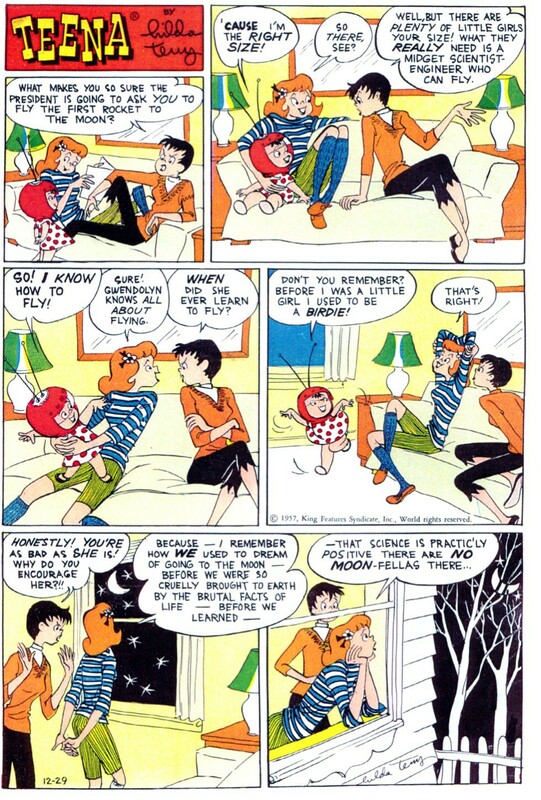 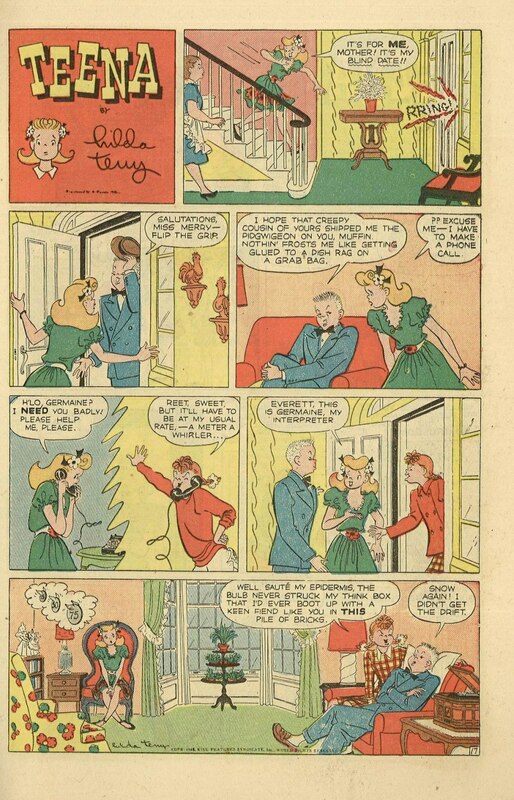 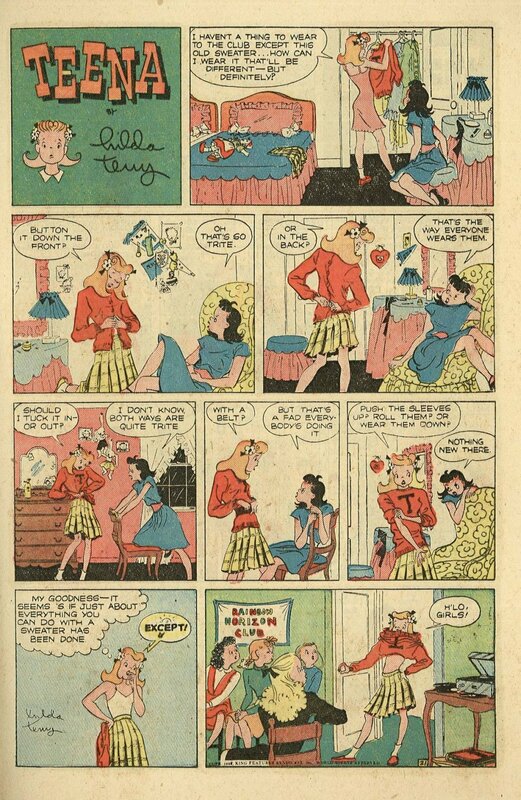 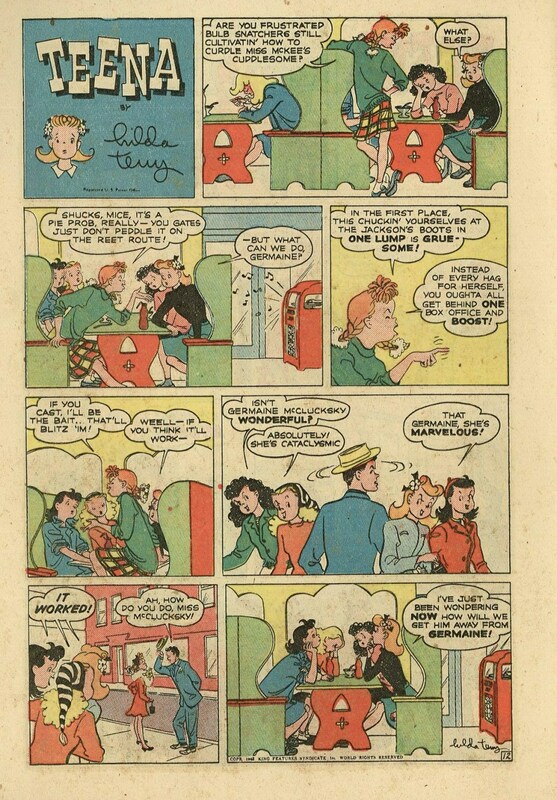 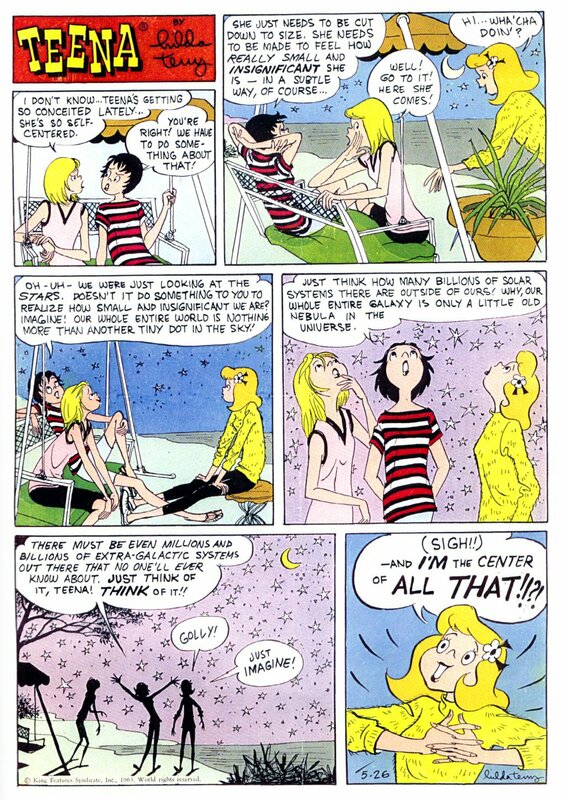 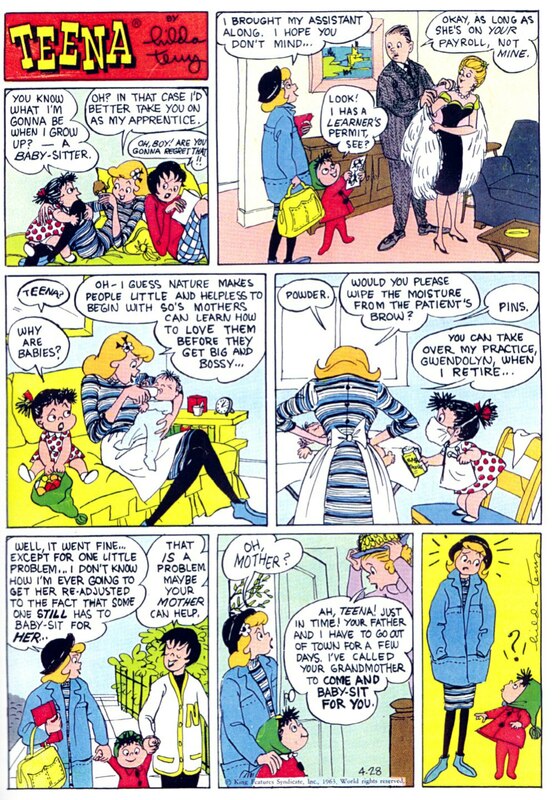 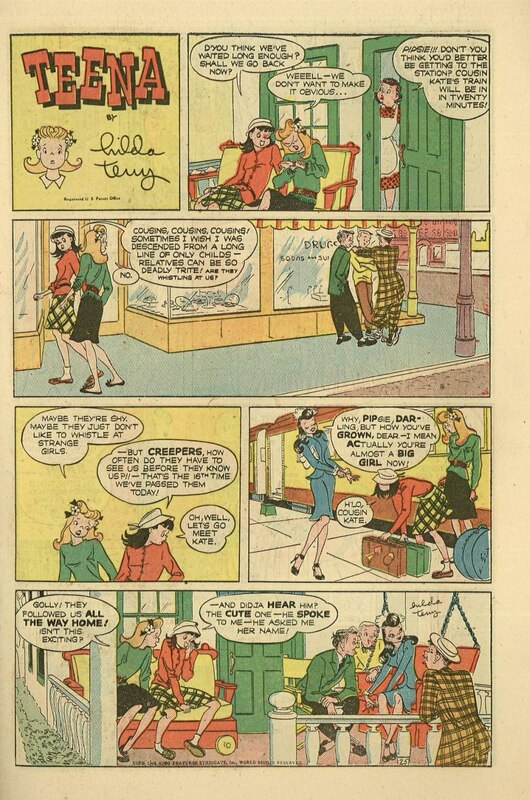 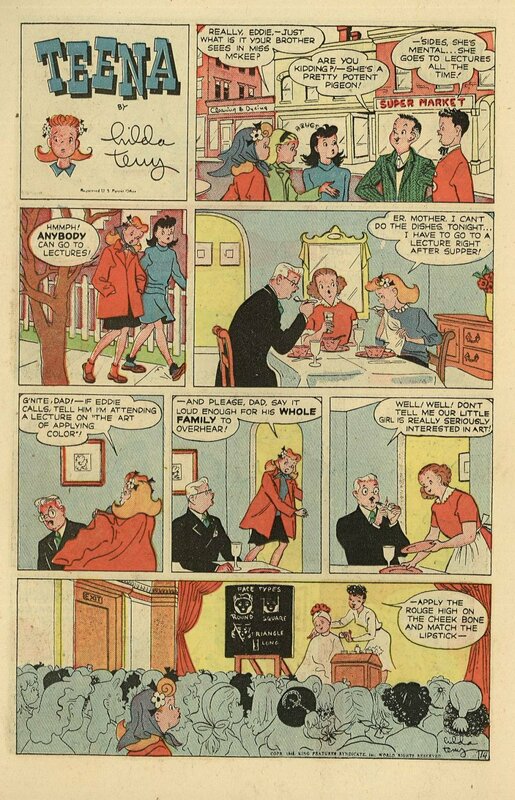 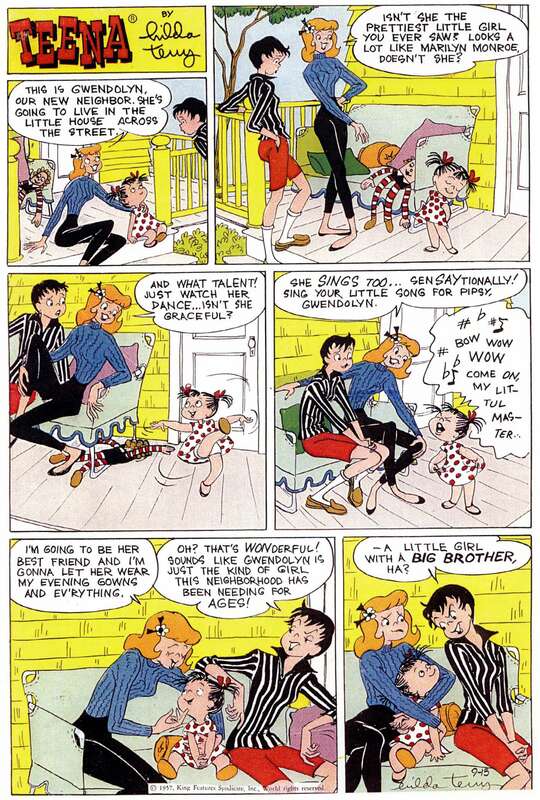 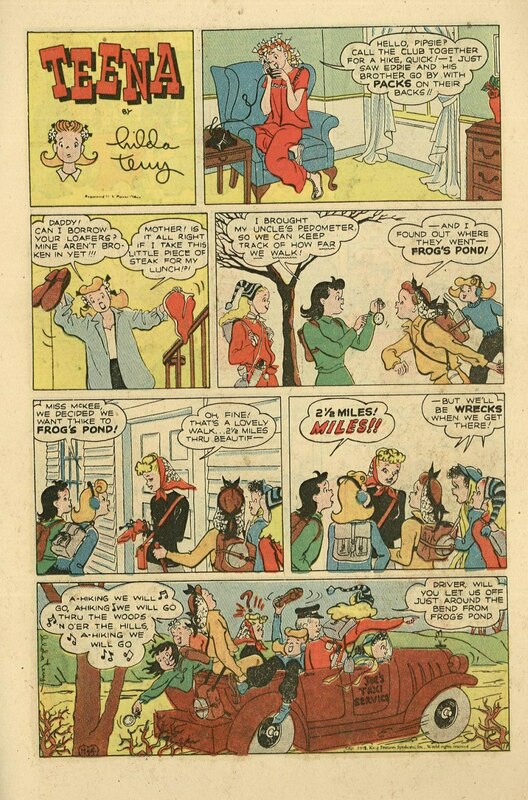 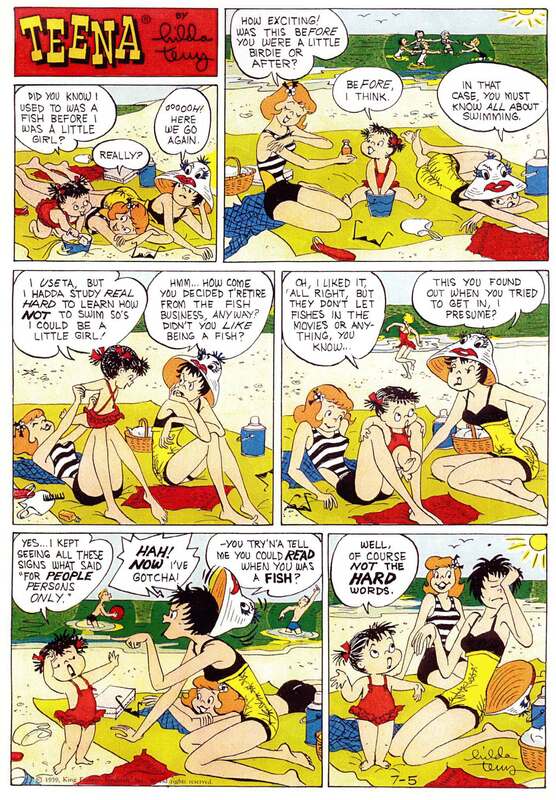 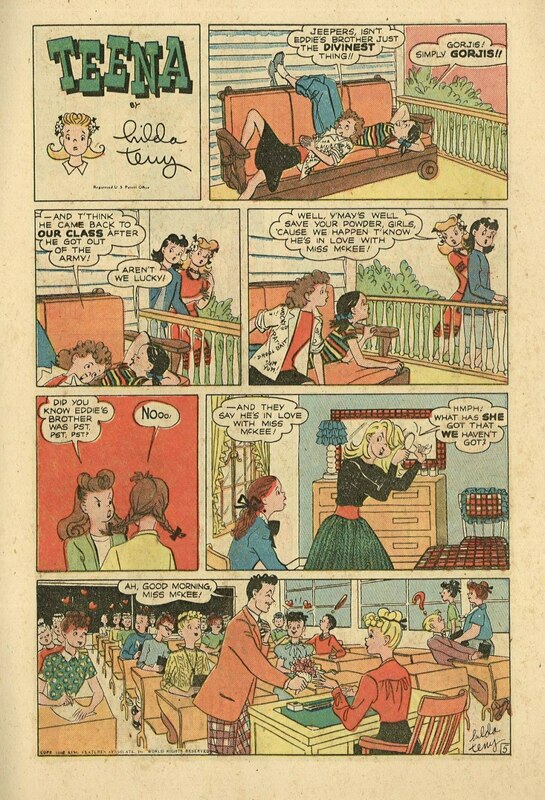 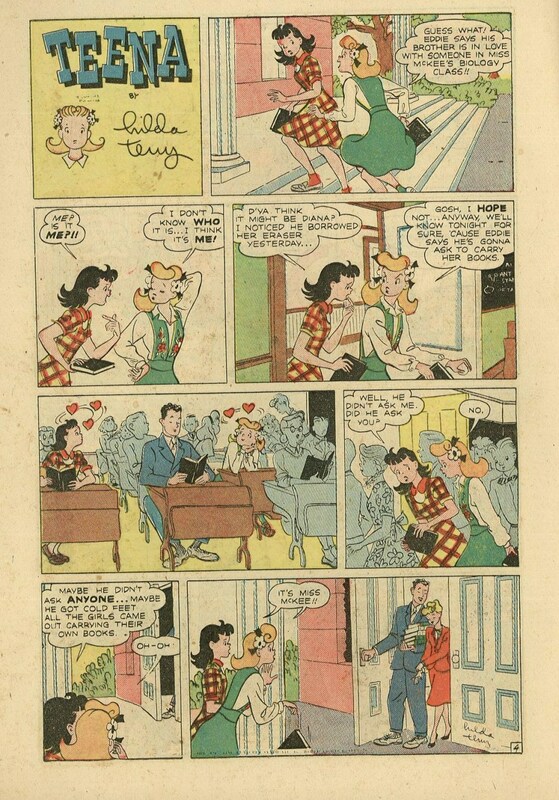 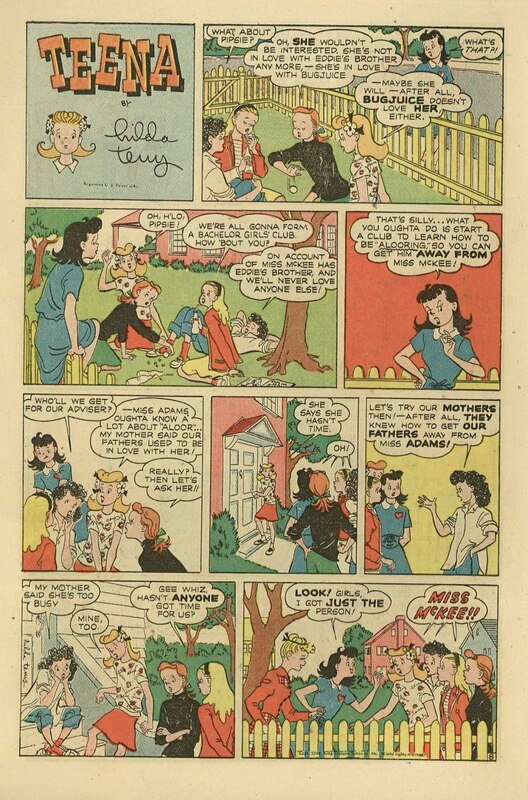 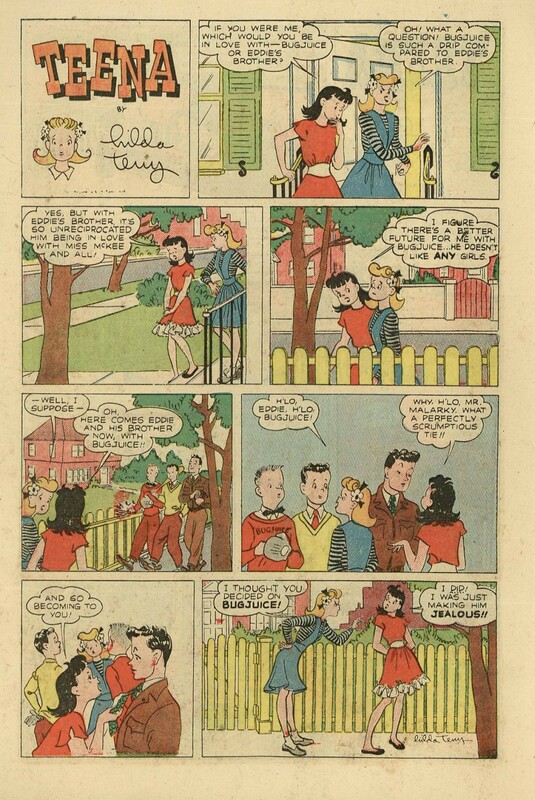 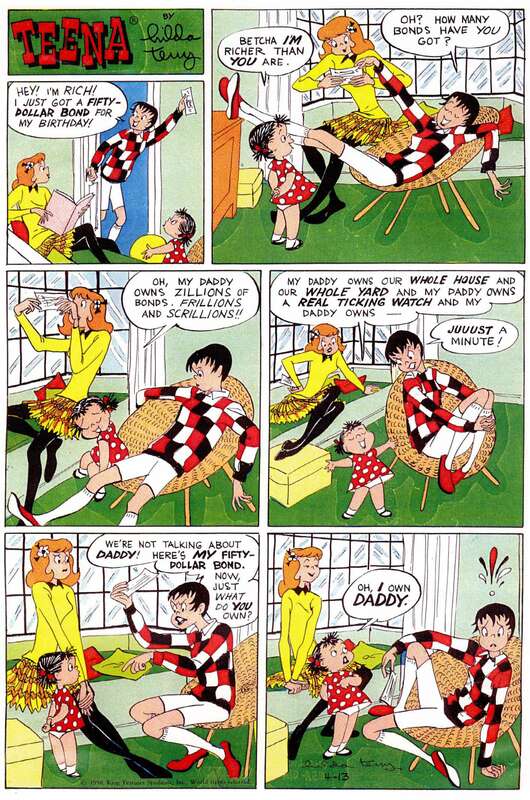 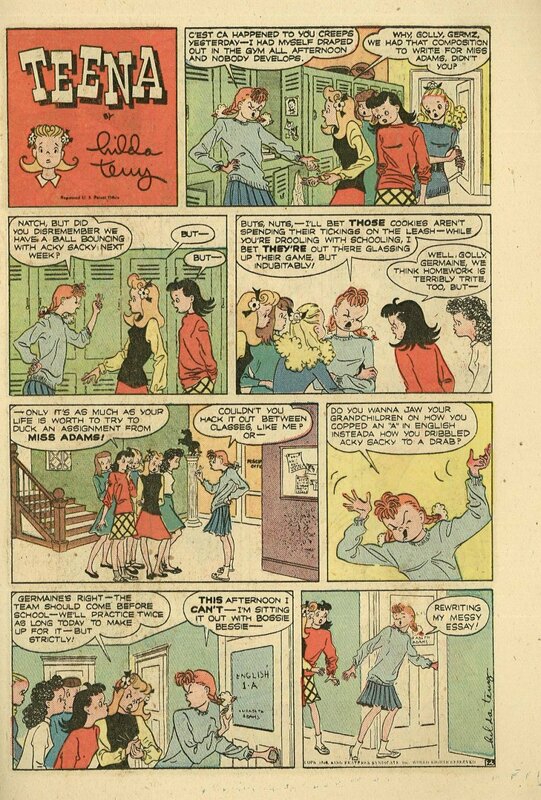 Check out the Hilda Terry category here at RCN for more comic strips and book covers by the cartoonist who drew teenagers as beautifully as anyone in comics ever has! 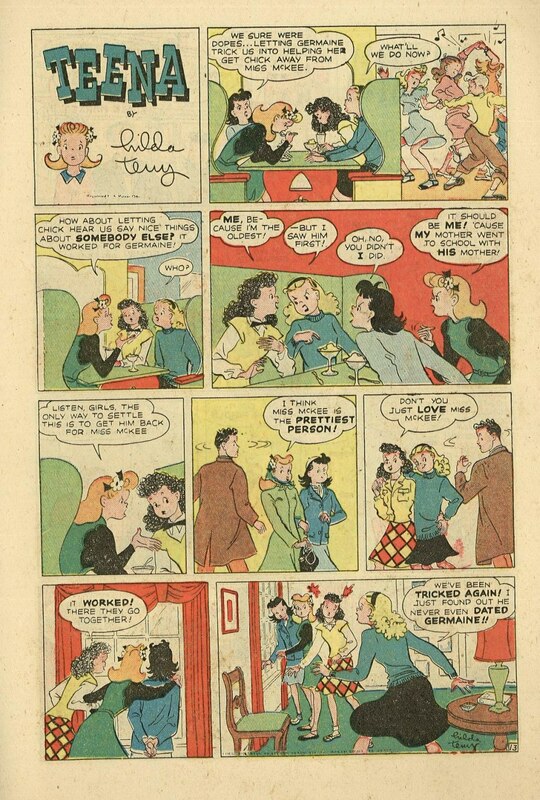 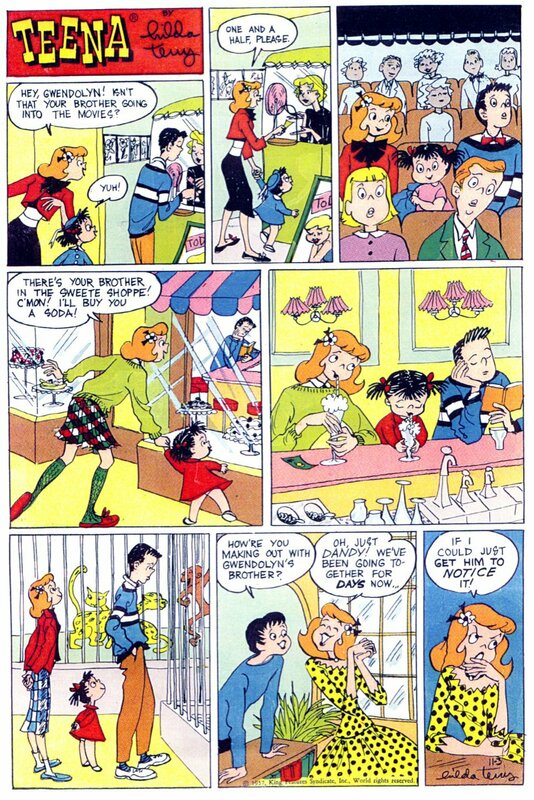 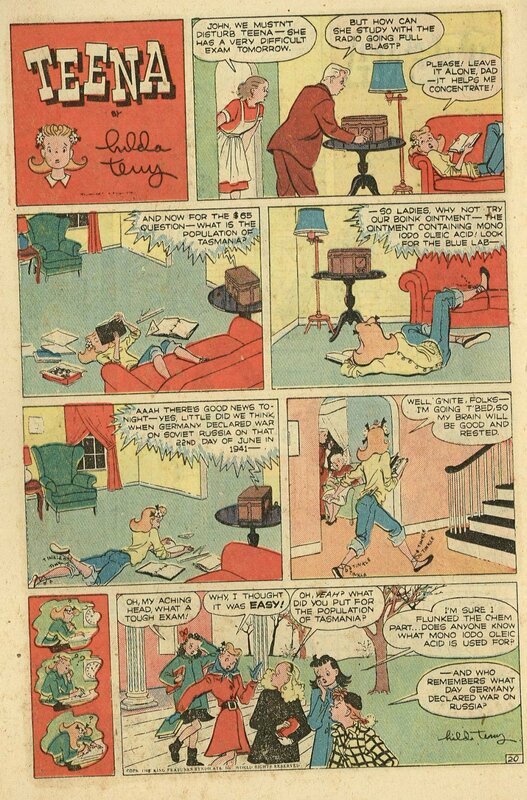 Check out the Hilda Terry category here at RCN for more comic strips and book covers by — who else? 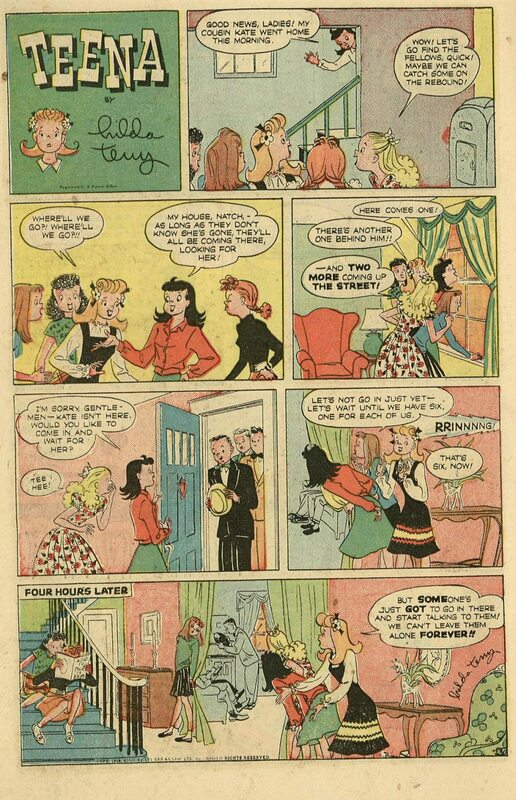 — Hilda Terry! 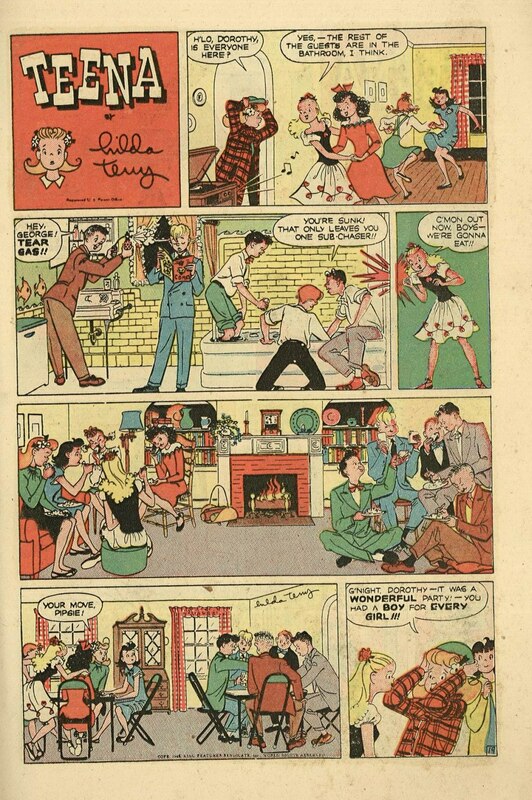 Featured artists include Alfred Andriola, Stan and Jan Berenstain, Walter Berndt, Milton Caniff, Irwin Caplan, Al Capp, George Clark, Chon Day, Gregory D’Alessio, Harry Devlin, Rube Goldberg, Harry Hanan, Al Hirschfeld, Hank Ketcham, Frank King, George Lichty, Marty Links, Kate Osann, Russell Patterson, Alex Raymond, Carl Rose, Charles Schulz, Ronald Searle, Barbara Schermund, Noel Sickles, Otto Soglow, Henry Syverson, J. W. Taylor, Hilda Terry, and Mort Walker. 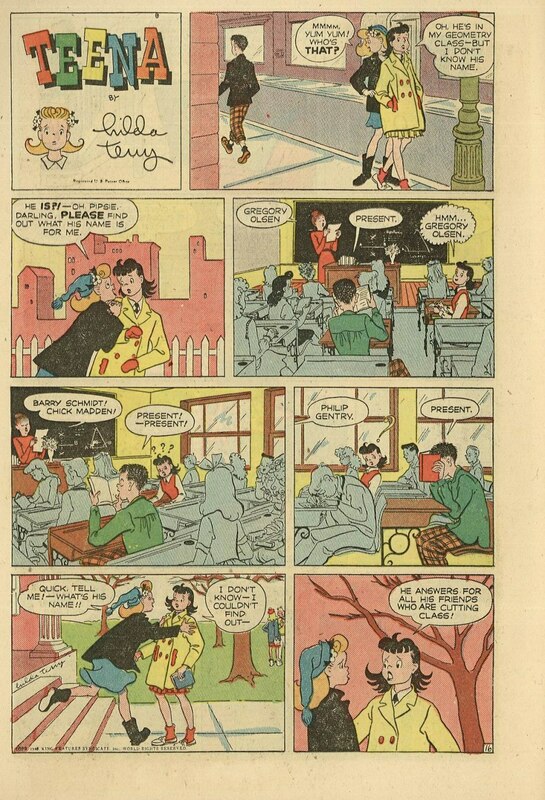 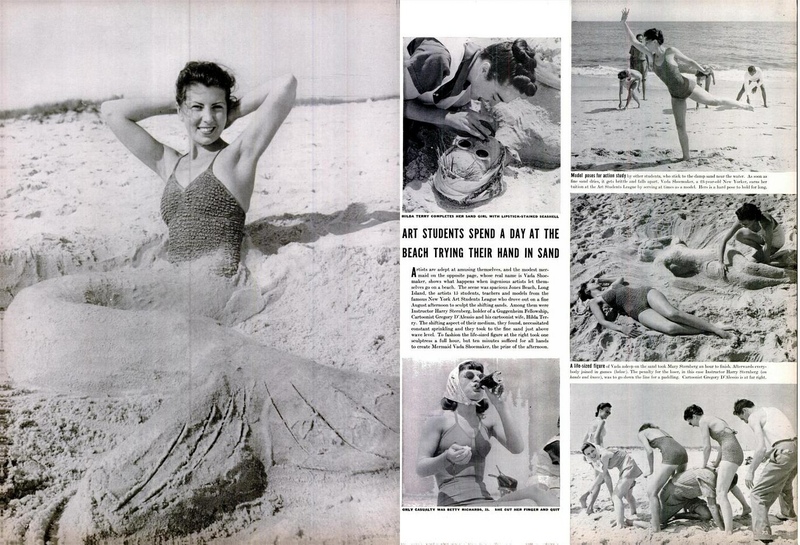 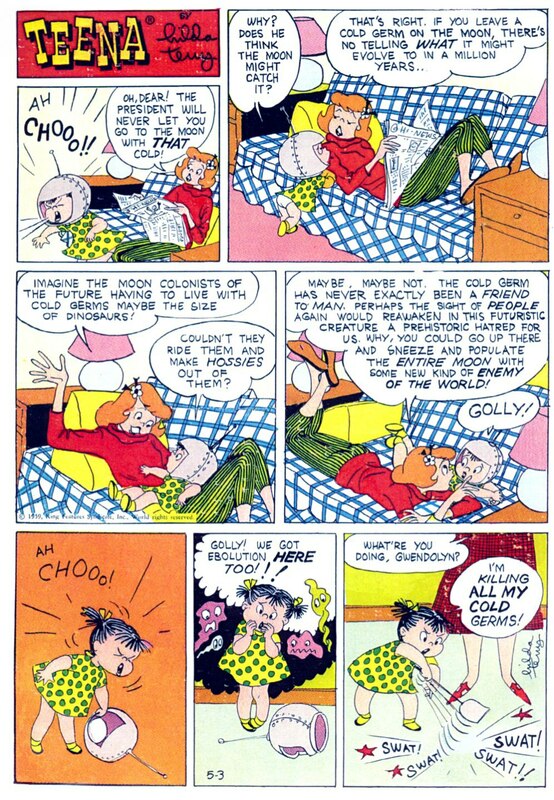 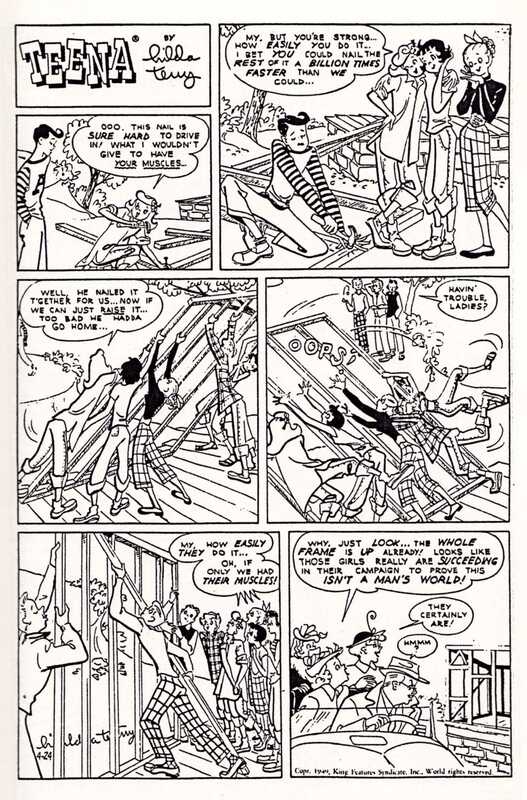 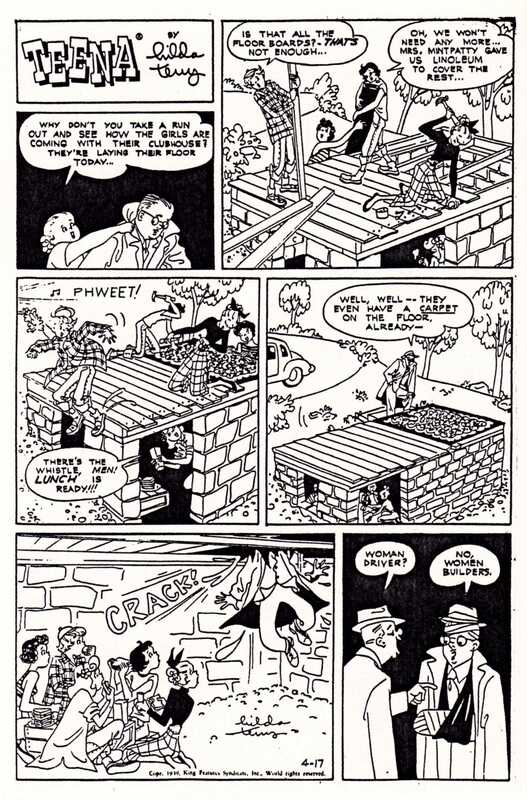 In addition to being a syndicated cartoonist, a painter, and an influential guitar music enthusiast, Gregory d’Alessio was vice-president of the Art Students League in New York from 1937 to 1944 and was an instructor in drawing at the League from 1960 until his death in 1993 at the age of 88. 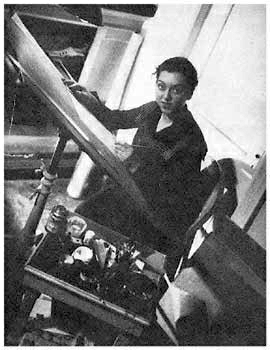 D’Alessio’s wife of 55 years, Hilda Terry, also became a regular instructor at the League in the 1980s (after her “retirement”), teaching a class in drawing twice a week, and continued in that capacity, near as I can tell, pretty much right up until her death in 2006 at age 92. 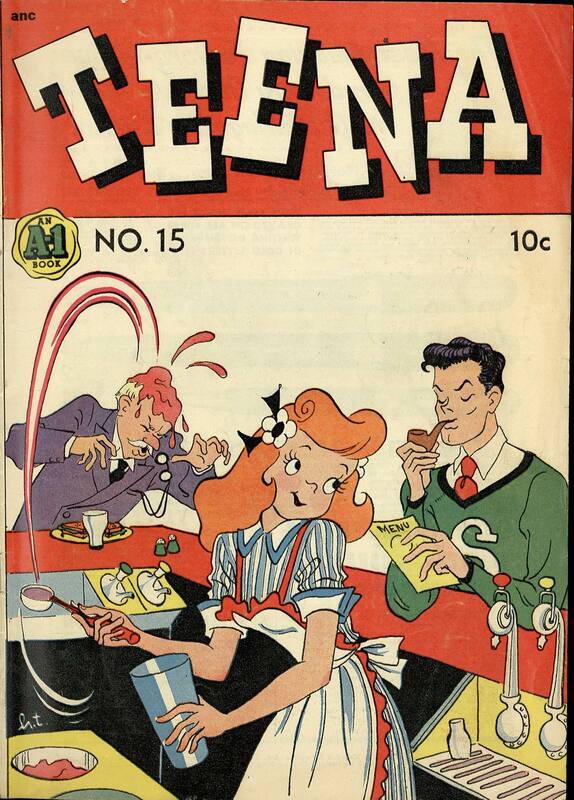 Now I’m no expert in publishing, but I have long thought that the good folks at Drawn & Quarterly ought to make a concerted effort to acquire the rights to reprint “Teena,” from start to finish, in a series of archive collections. 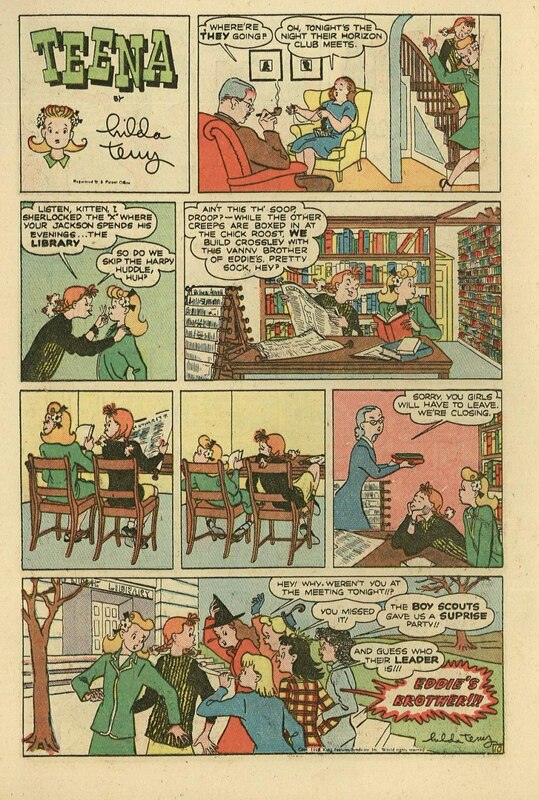 Because it seems to me that Hilda Terry would fit in perfectly on D&Q’s current author list alongside John Stanley, Kate Beaton, Tove Jansson, Doug Wright, and Lynda Barry. 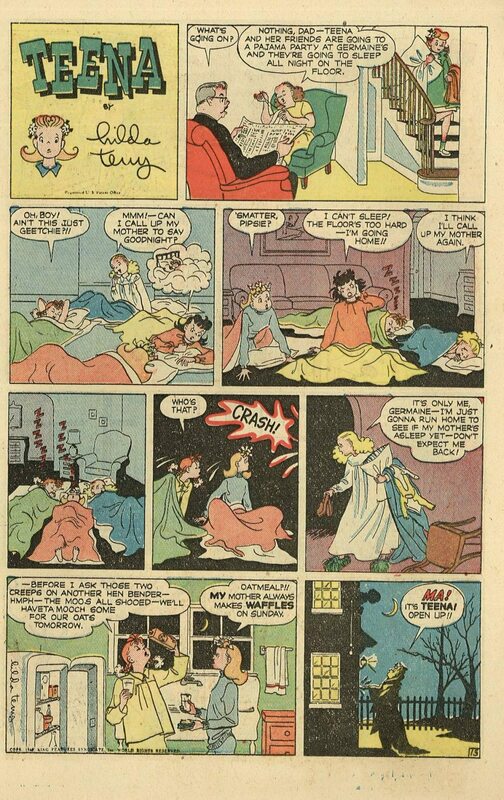 And I’m almost certain that cartoonist and comics historian Trina Robbins would jump at the chance to assist with (or edit!) 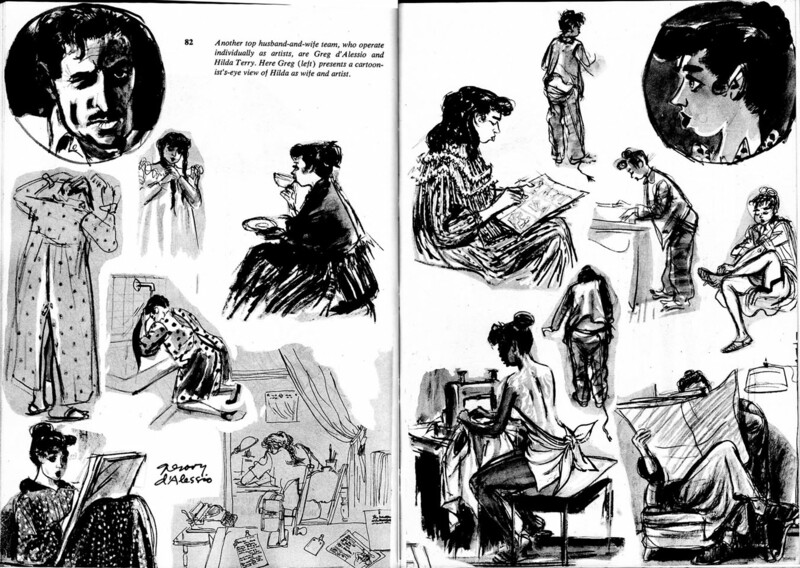 such a project. 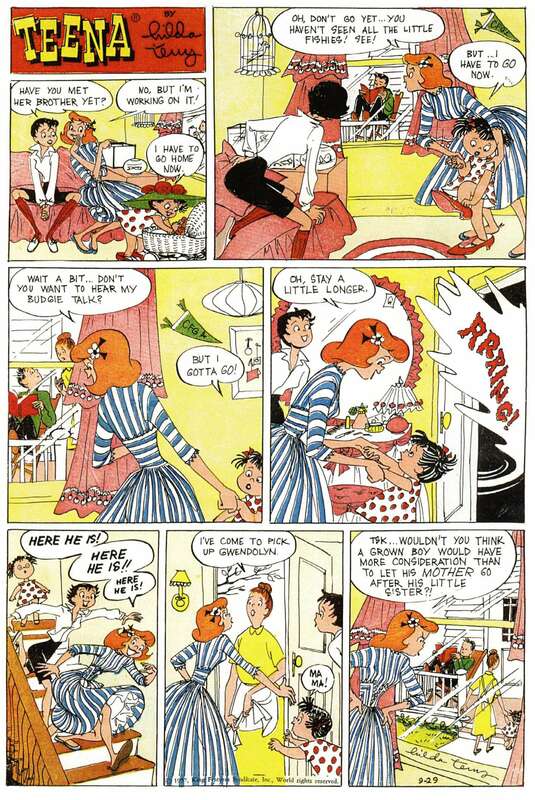 So hop to it Chris Oliveros! 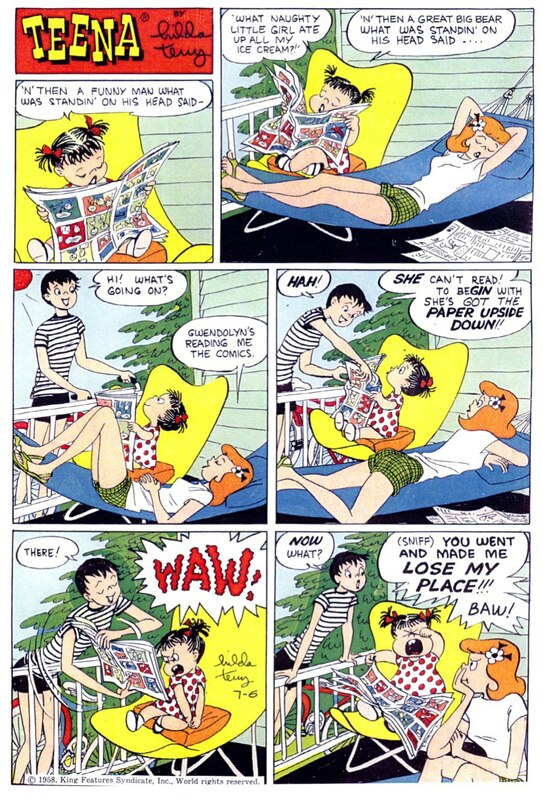 Make it happen!